The Oba-elect of Ikeja, Alhaji Samsondeen Adeleye, at the weekend, expressed worry that four years after his selection by the communityâ€™s kingmakers, the state government is yet to install him. The kingmakers were at the period headed by a former deputy governor of Lagos State, the late Alhaji Rafiu Jafojo. 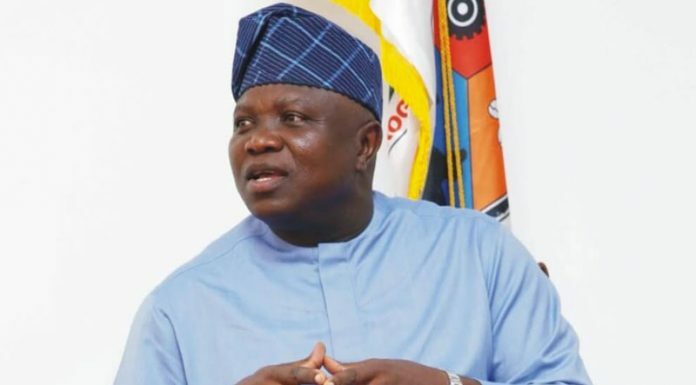 Lamenting the scenario, Adeleye said, â€œI personally appeal to the state governor, Mr. Akinwumi Ambode, to take the bull by the horn and act out his conscience on this matter, by calling for all the files relating to Obaship position in Ikeja and see if I have not said the truth. â€œThis is particularly so because a Yoruba adage says, â€˜If you stay for too long on expended feaces, you will be assailed by different species of housefliesâ€™. Ikeja has been without a monarch since October 2014, following the passage of the Olu of Ikeja, Oba Rauf Matemi, Amore 1. Meanwhile, prominent leaders in Ikeja also at the weekend appealed to the Ooni of Ife, Oba Adeyeye Ogunwusi, the Ojaja 11, to promptly wade into the impasse created by the delay in the installation of a traditional ruler for the community. In a petition to the Ile-Ife monarch, signed by its President, Chief Babatunde Alaran, and Secretary, Mr. Olugbenga Soremi, the elite group said the Ikeja kingmakers had since four years ago appointed a monarch for Ikeja but that some mischief-makers had refused to let the will of the kingmakers come to pass. They urged the Ooni to rally other traditional rulers in Awori Land of Ogun and Lagos States and prevail on stakeholders to make way for the installation of an Oba in Ikeja. Pleading for the intervention of the royal father, the Gbobaniyi Royal Association said Adeleye, the Oba-elect, had since completed all the traditional norms, scrutiny and rites needed to become the new Olu, which prompted the kingmakers to recommend him to the state government, through the local council, for installation.